Why Should We Have a Devotion to St. Joseph? It is recorded in Holy Scripture that the people of Israel, in grateful memory of their deliverer and benefactor, took the remains of Joseph with them at their departure from Egypt into the Holy Land, and buried them in the country of Samaria (Exod. 13:19). We, as Christians, must not be less appreciative of our Saint Joseph. We are indebted to him in an infinitely higher degree. Hence, we are to cultivate a heartfelt devotion to Saint Joseph. The devotion may be practiced in the following way. Fervent clients of the saint do not allow a day to pass without performing some small acts of devotion in his honor, recommending themselves to him and asking his protection. 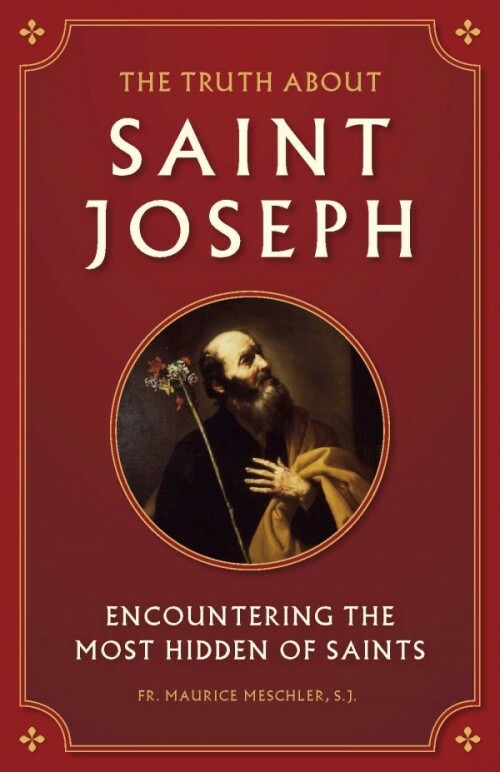 For this purpose, there is a short, very touching chaplet of the Joys and Sorrows of Saint Joseph, enriched with indulgences by Pius VII, Gregory XVI, and Pius IX. Each week, moreover, has a day set aside, Wednesday, which is especially dedicated to him. This practice, which dates from the seventeenth century, originated in the Benedictine Monastery of Chalons in France. In the ecclesiastical year there are two feasts of the saint that are celebrated throughout the whole Church, and one that is restricted to certain localities. The two feasts of general observance are the feast of Saint Joseph, celebrated on March 19, which originated in the fifteenth century under Sixtus IV, and the Solemnity of Saint Joseph the Worker, celebrated on May 1. The third festival, the Espousals of Mary and Joseph, celebrated on January 23, was first kept in the sixteenth century in the convents of the Franciscans and the Dominicans; in the time of Emperor Leopold I the feast was extended by Innocent XI to the whole Church, but since the reign of Pius X it is celebrated in only a limited number of places. Moreover, an entire month, March, has been especially dedicated to the veneration of Saint Joseph by Pius IX and Leo XIII. Besides, each of his feasts may be introduced by a fitting novena. And so, devotion to Saint Joseph occupies an important position in the order of feasts of the ecclesiastical year, and in this regard all we have to do is simply to follow our holy Mother the Church. Motives for practicing this devotion present themselves in sufficient number in consequence of our daily personal necessities, difficulties, and trials. and finally, the grace of a happy, edifying, and consoling death. His life was especially notable from this threefold viewpoint. Thus, it would appear that the saint had been endowed by God with a special power to procure these graces for us. This article is from The Truth About Saint Joseph. Click image to learn more. We need but gather briefly and cursorily a few motives for practicing devotion to Saint Joseph. First, he deserves our veneration because he is so worthy of it and is so great a saint. How close his relationship to us and how much we owe to him! As foster father of Jesus he is connected most intimately with the earliest history of our religion. Our Savior acknowledged him as His earthly father; He was subject to him; He wished to be indebted to His legal parent for everything in the temporal order; He sanctified Joseph by His many years of familiar communion with him. No relic has ever been so consecrated by close contact with the Incarnate Word of God as was the saint. His eyes, his hands, his arms received a consecration as often as they looked upon or carried the divine Child. And with what unfathomable love the saint’s heart throbbed for his son! What Joseph did for Christ, he has done for us, God’s people. We must return thanks to the saint for this. We shall never be able to extol or repay his services to us in a worthy manner. Secondly, Saint Joseph deserves our veneration because he is so amiable a saint. He is the chosen spouse of Mary, her protection and her solace, the protector, angel guardian, and saint of the childhood of Jesus. He makes his appearance with the Child Jesus and with Him vanishes. Hence, the symbol and badge of his vocation and of its purpose are none other than those of the Christ Child Himself, whom he ever carries in his arms and presses to his heart. How amiable a saint he is through his calling, and especially through his virtues, summed up in his fatherliness, his purity, fidelity, constancy, unselfishness, humility, wisdom, and love. All these are such attractive virtues, so inspiring with confidence, that of themselves they invite us to choose him as our counselor, our provider, and our father in all our necessities, even as Mary and Jesus trustfully placed all their concerns in his hands. In the third place, the saint deserves our trustful affection because he is such a practical and resourceful saint, as though specially fashioned to be our helper in difficulty and trial. He has lived an entire human life with all its vicissitudes, joys, and sufferings. Indeed God seems to have so arranged the circumstances of his life’s vocation that, as Pope Leo XIII in his encyclical on the saint so graphically describes, he may well serve as our model and pattern in every circumstance of life, and with his own knowledge and experience come to our assistance. From his own experience he knows how heavy the burden of the father of a family may be in consequence of want, poverty, and persecution; he knows what is meant by superior and inferior; he has in deed and in truth sanctified the state of matrimony and virginity, life in the cloister and in the world, the contemplative and the active life, and has crowned his existence with a most blessed death. Thus, God has given him the power to lend his aid and protection in all our concerns, and to bring them to a happy and successful issue. It is especially the crosses and perplexities of everyday life that bring his life so close to our lives and cause him to assist us so kindly and sympathetically. He is the great and universal master of the prince’s house and the father of God’s family. Hence he always knows when to help and has the power and the heart to do so. What was said of Joseph of old, “that God made all he did to prosper in his hand” (Gen. 39:3), holds in far greater measure of our saint. Hence, his name is most lovingly venerated in all lands and conditions of life; and although his clients be without number, they cannot exhaust his power and his love. Finally, Saint Joseph is not only a practical saint but seems especially fashioned by God for our modern times. He is, we might say, the modern saint. Each period of history has its particular dangers and needs, and God in His infinite wisdom and goodness provides it with corresponding remedies. For several decades a new force has been developing and today is fully developed. It is the power of the sons of untiring labor, but not the well-ordered, God-ordained labor based on trust in God. This latter type of labor gives no cause for anxiety since it has been in the world from the beginning of the human race, is the lot of all men, and is their honor and privilege. God has blessed it and in His Son sanctified and almost deified it. We fear rather that restless drudgery, that toil divorced from God and the supernatural; we fear that unbounded self-seeking, greed for money, possessions, pleasures; we fear the power of a proud and stubborn self-sufficiency and self-deification; we fear the power of a crude, untrammeled self-government that would erect its throne without God and the Church, on the ruins of the old order and existing institutions, yea, upon the ruins of family life itself. The true names of this monster, the unholy progeny of all social disorders, are unbelief, materialism, revolution, anarchy, class and racial hatred. Where shall we find the help provided by God for these evil times? Where is the new man, the new power prepared by God to take a decided stand on behalf of justice, order, God’s glory, and man’s welfare? Who can it be but the exalted personage of unselfish attachment to duty, the man of obedience, faith, and trust in God, of humility and willing devotion to labor? Who but Saint Joseph, the calm, earnest man of noble ancestry, but poor and humble by choice, Saint Joseph, who on a former occasion saved the nascent Church, then, represented by the Holy Family, from the bloody hands of a ruthless persecutor? Why else has God been preparing a way in the Church during the last century for the devotion to Saint Joseph? Why else has He exalted him just at these critical times to the position of protector of the universal Church? He is indeed the man in whose hands God has placed the destinies of the Church. Let us then trust in him. We shall certainly not be confounded. This article is adapted from a chapter in The Truth about Saint Joseph: Encountering the Most Hidden of Saints. It is available from Sophia Institute Press. Fr. Maurice Meschler was a German Jesuit who lived during the nineteenth and twentieth centuries. He is known for his writings on the saints and the life of Christ.